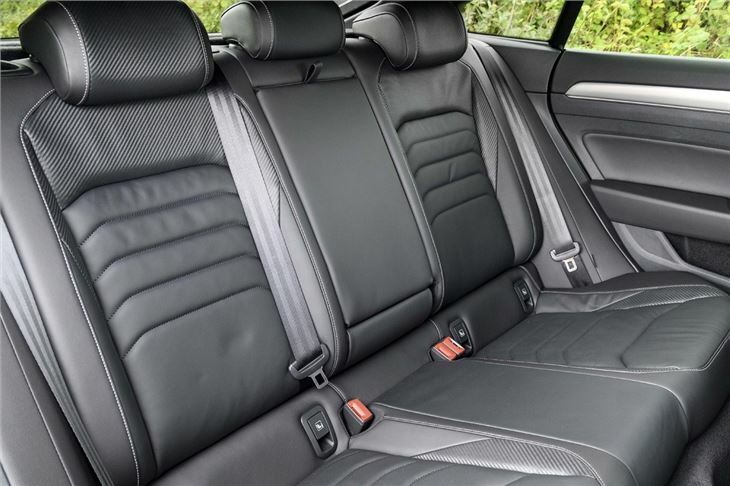 High quality interior with impressive amounts of space, comfortable on the move. 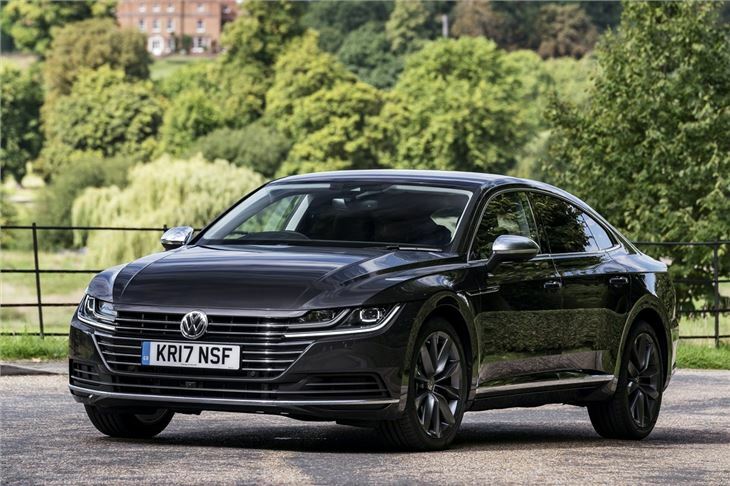 You could describe the Arteon as a posh Passat, but Volkswagen would rather you didn't. 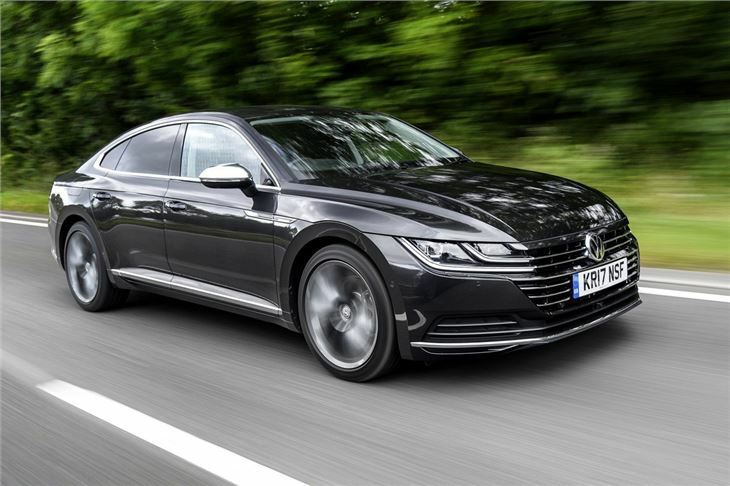 It's a replacement for the Volkswagen CC, which in turn was a replacement for the Volkswagen Passat CC - essentially a four-door coupe version of Volkswagen's Ford Mondeo rival. 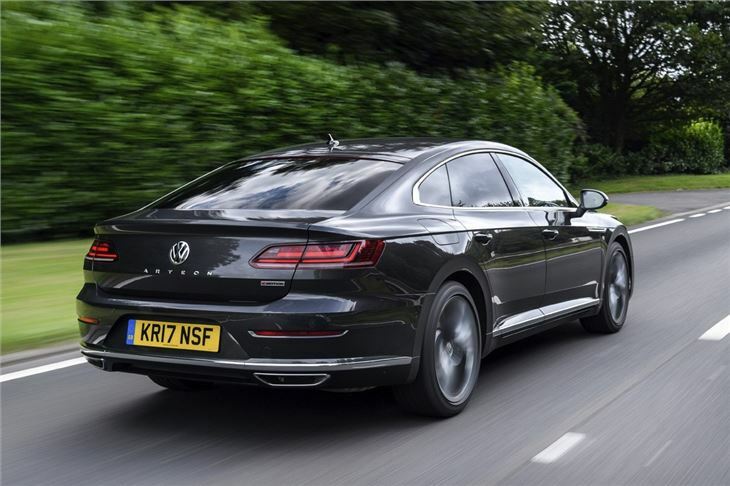 In truth, the Arteon's more of a rival to the BMW 4 Series Gran Coupe and Audi A5 Sportback than a Passat with sleeker looks. That partly explains the price - the cheapest Arteon you'll get will set you back more than £30k. But if you want a decent slug of performance to go with the image, you'll be looking at spending closer to £40,000. As a comparison, the A5 Sportback and 4 Series both start at roughly £33,000. Sure, they're not as well equipped at that money, but for most people, an Audi or BMW badge still has more status than a Volkswagen. So what do you get for the cash? Well the Arteon is certainly very spacious, with huge reserves of rear legroom, a big boot and uber-comfortable seats. It's also refined and relaxing to drive. Ticks a lot of boxes then - but so does a Skoda Superb. And that's a lot cheaper. 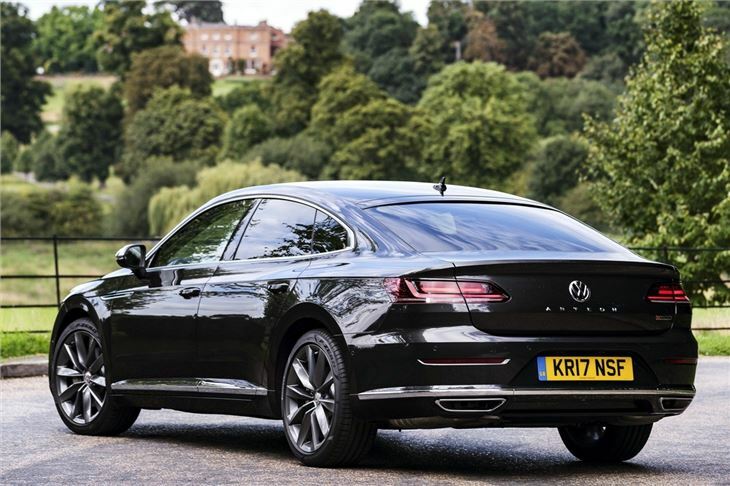 The question, then, is this: is the Arteon more than just a Skoda in a posh suit? Inside it feels like it's got that bit extra. 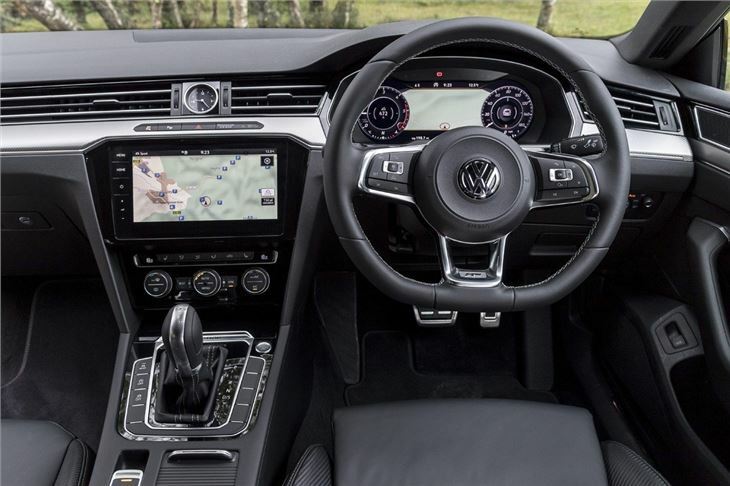 Yes, all the switches and controls are familiar Volkswagen, but there's a new Discover Navigation Pro system - basically a big touchscreen that dominates the dash. With its glass surround, it feels like a high-end bit of kit and it works very well too, helped by a nicely designed interface with neat graphics. The Arteon also comes with a digital instrument cluster called Active Info Display, which is the same as Audi's virtual cockpit. There's a wide range of engines to choose from, including an entry-level 1.5 TSI with 150PS. 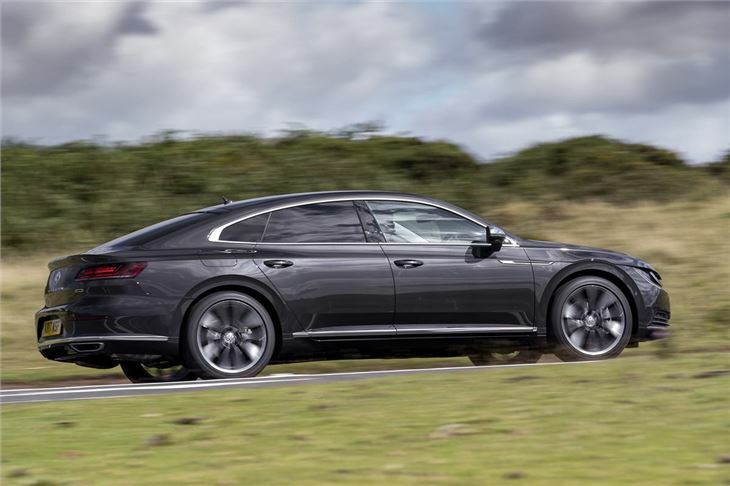 A 2.0-litre TSI with 190PS will be a better choice for most buyers, or you can also choose the same engine with 280PS - because a baffingly powerful engine is what people want in a car like the Arteon, apparently. Diesel options are made up of a 2.0-litre TDI with 150 or 190PS, or a 2.0-litre BiTDI with 240PS. Even in more powerful variants, the Arteon isn't exactly a thrilling drive. But that's not what you buy an Arteon for. If you're looking for something that stands out, feels extremely upmarket but you're not too worried about the badge on the bonnet, the Arteon could be the car for you.